The Bridge embodies a design solution responding to the context of the spatial and socio-economic landscape of urban Vietnam. Housing the teams of the several luxury brands that make up the OpenAsia Group, typologically located between warehouse and logistic service buildings, the structure will stand enigmatically in the middle of Old Hanoi. 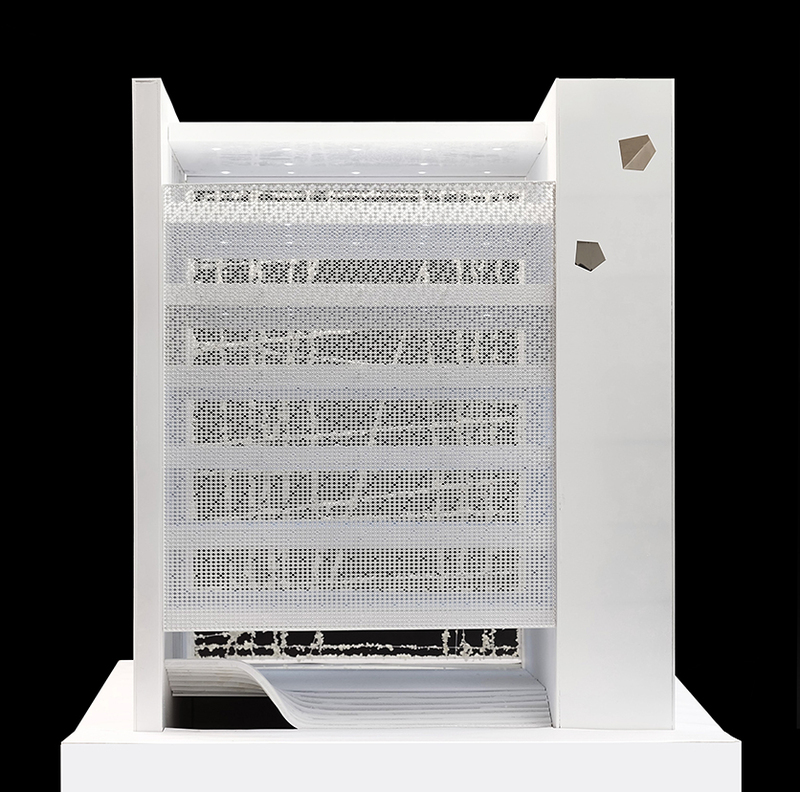 The proposal envisioned the office building as a series of platforms lifted by two cores of concrete; one containing the circulation paths and main services, the second being the support for all documentation so called “the memory wall”. In-between can be found an open space, free of any columns, open widely on both sides to large windows creating unobstructed panoramic rooms across each floor. This sensation of space brings forth the particularity of the building, in stark contrast to the surrounding density the platforms open to the environment offering users a rare context of open space. These sweeping office areas represent synergies and transparency, allowing for a maximum of flexibility for any future use. Here G8A proposes to diverge density with a structural and visual porosity, the door-less entrance of the building seemingly an extension of the sidewalk and the building’s north-south exposure permitting an open platform. Facades are placed voluntarily in recess to absorb the potential construction of surrounding buildings, in anticipation of further growth in the coming years. 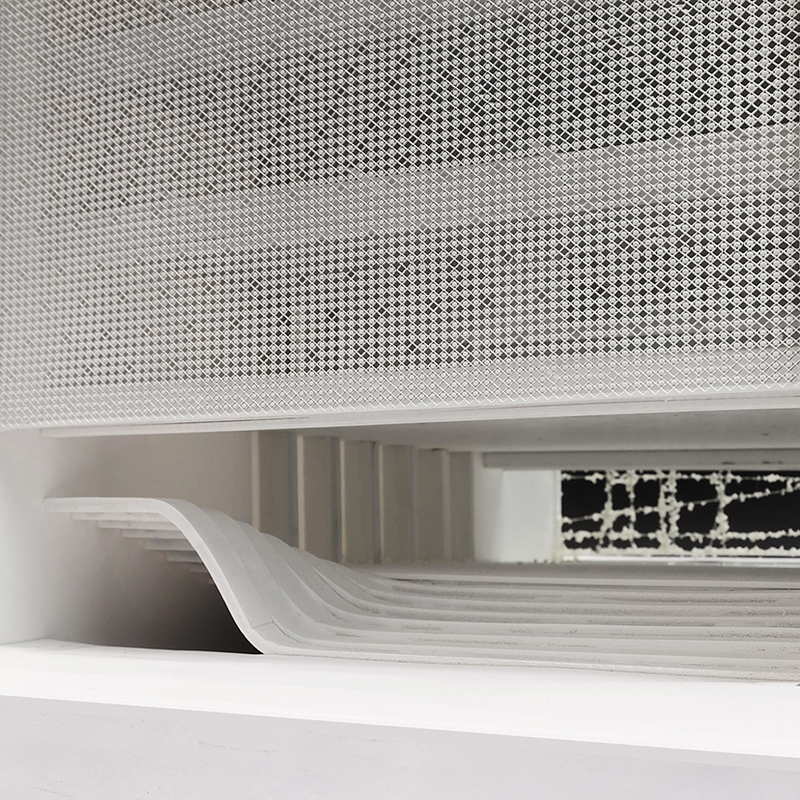 The mesh net on the entrance side and green façade cabling at the rear of the building provides passive shading and brings a sense of intimacy. In the back of the building, the open vertical space allows the site to generate its own light and ventilation, a soft filter from the nearby chaos. Upon entering the building, we are met with cues of materiality that embody the OpenAsia philosophy “the transformation of raw material to fine product”. A prevailing use of the brut texture of concrete in relation to light hues and fine polished details of bronze, communicates the idea of transforming rough to precious and brut to polished. This precedes another sense of contrast as the user moves from the defined areas of circulation to the panoramic open work spaces. Here, G8A applies an adaptation of the “sustainable ruin” philosophy in the urban density of old Hanoi, a concept previously developed in the High-Tech Park of Hao-Lac. The ideology proposes creations of highly adaptable structural system underscoring the ro-bust infrastructural nature of the building. Prioritizing the climatic answer, the spatial rela-tionships, the exoskeleton constructive logic but also a strong identity expression that al-lows for future adaptation.